Meadow is 5 years old and is in her second season with Thanet Wanderers Under 6’s. Her passion and commitment for the game shines through at training week on week. Her cheeky smile and her unexpected dashes for the line light up the Sunday morning sessions. 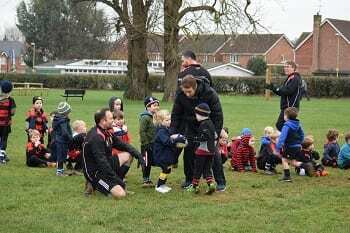 On a family visit to friends in Alton last weekend, Meadow insisted that she would not miss training for the first week in 2019 and so attended the local rugby club and asked to join in with their own Under 6’s training. 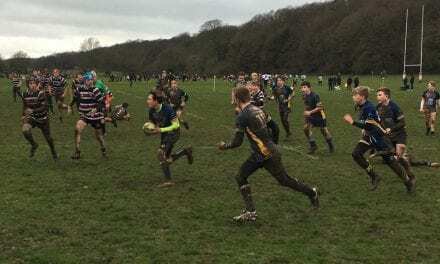 Alton Rugby Football Club trains at Anstey Park and has a youth section of some 300 boys and girls, a very similar size to Thanet Wanderers. 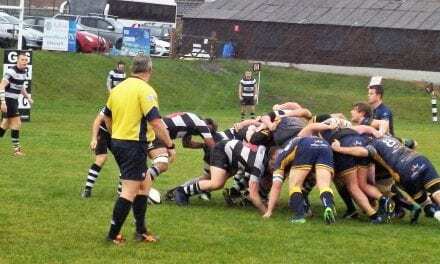 Their 1st XV currently top the Hampshire 1 league. The Under 6’s head coach Kyriakos Markianos (K) supported by 6 other coaches really work hard to achieve that magic blend of fun, coaching, camaraderie and respect as well as maintaining authority over almost 40 children aged between 4 and 6 years old. Everyone at the club was incredibly welcoming and made Meadow feel really at home. 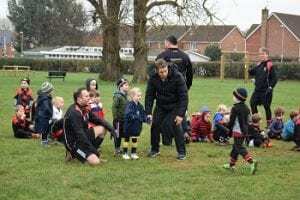 On Sunday Kyriakos was supported by a former Under 7’s player from the Club, the England rugby legend Jonny Wilkinson, who came to do some coaching with some of the club’s potential young stars. Jonny spent the entire morning working his way around all of the different squads offering advice, encouragement and support before setting aside pretty much the entire afternoon to pose for pictures and sign autographs. Meadow thought that Jonny was ‘really really nice’ as she spent time practising passing and catching with Jonny as well as running through a few of his favourite drills. If your daughter or son is a similar age to Meadow and would be interested in following in her footsteps and giving rugby a try, practice sessions are held on Sunday mornings at the clubs ground at St Peter’s Recreation Ground, Callis Court Road, Broadstairs CT10 3AE commencing at 10 am. 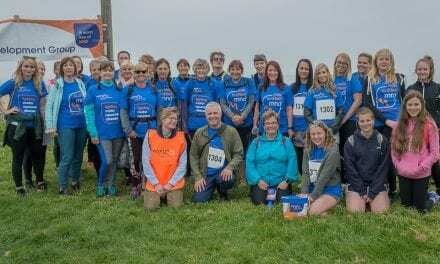 Thank you to Thanet Wanderers for this report about Meadow and her inspiring journey!